Scientists completely cured diabetes of a mice for good. Can we cure humans too? Read full story here. First, scientists successfully converted induced pluripotent stem cells — cells that have the ability to transform into any other type of cell — into functioning pancreatic beta cells. Amazingly, when the cells were transplanted into diabetic mice, they completely corrected the disease for good. 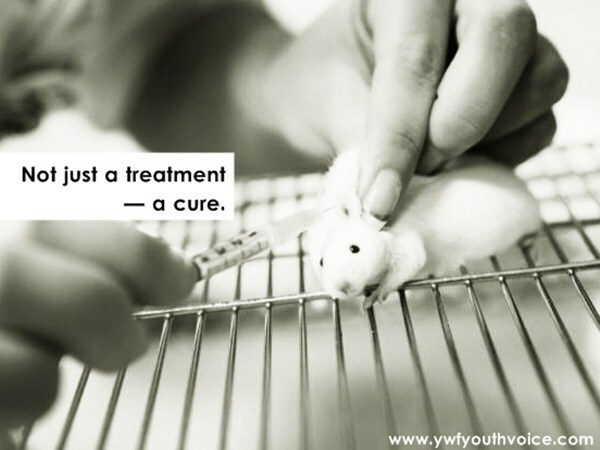 Not just a treatment — a cure. To put it simply, diabetes involves the loss of functioning beta cells in the pancreas. In type I diabetes, the beta cells die, and in type II diabetes, the cells don’t do as they’re told — both cases lead to a lack of insulin, which hinders the regulation of glucose levels in the blood. One of the telltale signs of diabetes is this loss of functioning beta cells, so figuring out how to transplant healthy beta cells into human diabetes patients would create the option of an actual cure — not just a treatment. Scientists have been trying to figure out how to replace these dead or damaged beta cells for a long time, and now it looks like they finally may have figured it out. "This advance will result in a better controlled insulin response than currently available treatments," Michael Downes, co-senior author and a Salk senior staff scientist, said in a media release. "Previously there was nothing known about the maturation process in beta cells. We peeked into that black box and now we know what's going on." "This discovery will enable us to produce potentially unlimited supplies of transplantable cells derived from a patient's own cells," lead researcher Ronald Evans told ABC News. In the study with mice, the researchers at the Salk Institute in California depressed the mouse immune systems in order to prevent the animals from rejecting the human tissue, but this probably wouldn’t be necessary in human trials since the beta cells could be developed from the patient’s own stem cells. After injecting the cells into the mice, the researchers found that all of the symptoms of type I diabetes were eliminated. "This work transitions us to a new era in creating functional beta cells at will," Evans told ABC. "In a dish, with this one switch, it's possible to produce a functional human beta cell that's responding almost as well as the natural thing." The results, which are published in the journal Cell Metabolism, are certainly promising, but even if future studies go on to show that the technique works in humans, it’s unlikely that all cases of diabetes would be cured. One reason is because diabetes is associated with genetic problems in some people, so the disease could probably find a way to revive itself even after the new beta cells were transplanted. Also, the symptoms of type I diabetes were blocked, but type II diabetes is much harder to eliminate since the new beta cells would have to compete with the dysfunctional cells that are already in the body. Still, even if the technique doesn’t eliminate diabetes in every single case, it could still be a cure for many diabetics. The team hopes to trial the technique in humans in the next few years. "Hopefully, this mirrors what would happen in the clinic - after someone is diagnosed with diabetes they could potentially get this treatment," Evans said in the release. "It's exciting because it suggests that cells in a dish are ready to go." This is a great news, right? Comments your views below.